Feeling a bit run down? Chances are you are in need of an antioxidant boost. Antioxidants are compounds found in plants the are believed to play a part in reducing inflammation and neutralising potentially harmful chemicals in the body. So how do you get some? Plants particularly high in antioxidants tend to be highly coloured. In fact most antioxidants are colour pigments: anthocyanins make blueberries blue, carotenoids are the orange in carrots, allicin is the white of garlic and so on. In a nutshell, eat colourful plants and you will get lots of antioxidants. Need a quick boost? 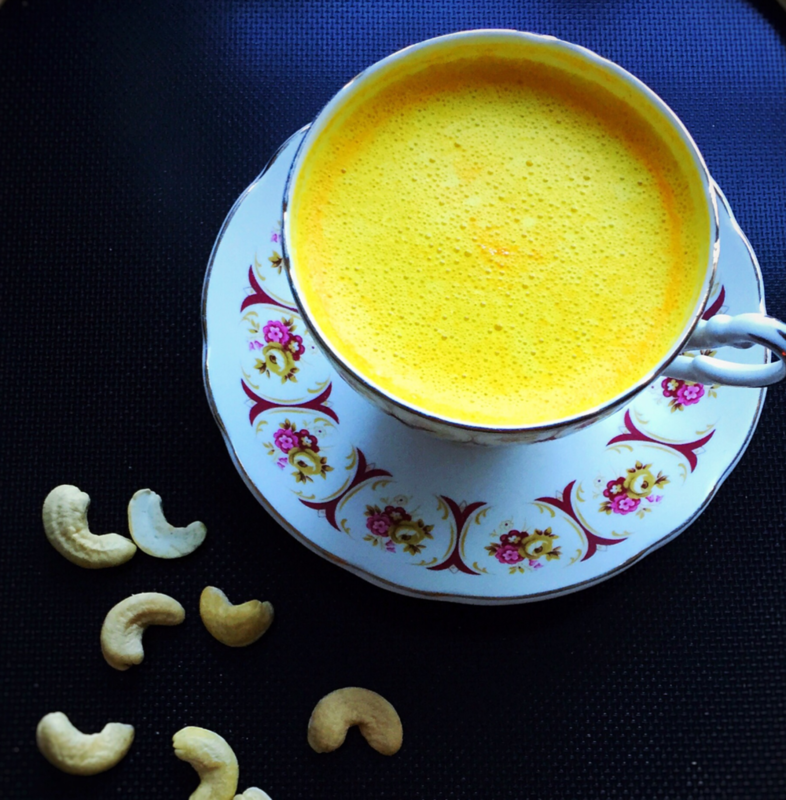 Scroll down for a turmeric & cashew milk drink recipe to get you started. Turmeric is especially high in antioxidants with many scientific studies backing its use for multiple ailments. The form of turmeric used here, the root, is available in most supermarkets, online or in middle eastern stores. It has a much sweeter flavour in comparison to the powder so it's worth hunting down. Soak the cashews in enough water to cover them for a couple of hours or overnight. Put all of the ingredients in a high speed blender and blend until warm. In lieu of a high speed blender, you can use a standard blender, strain the liquid and warm it up in a small pan.